When one thinks of BMW motorcycles, big 1200cc adventure bikes and litre sportbikes come to mind. The company has never ventured into the sub-500cc market, until now. 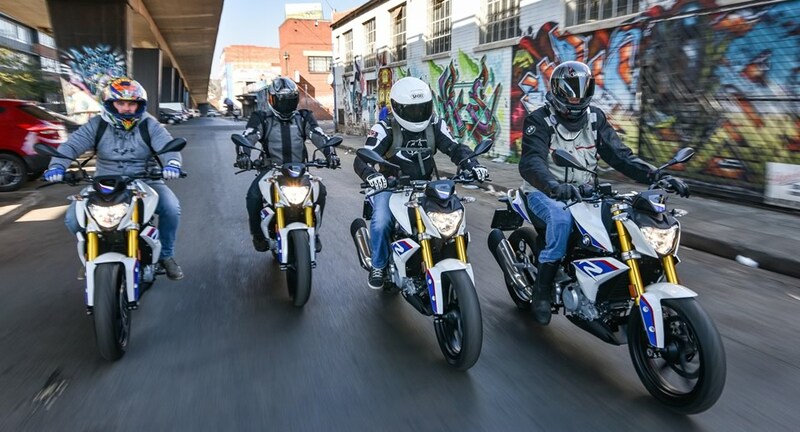 This month saw the South African launch of the BMW G 310 R.
For the price of a R 1200 GS you can buy four of these. While a 313cc commuter type bike may not seem important to some, it is quite an important bike for BMW. It carries with it a number of firsts for the Bavarian company, one being that it’s their first sub-500cc road-going series production bike. It’s also the first BMW motorcycle to be built outside of Germany. It is built in India at the TVS factory. You can put all concerns of quality to rest, because the G 310 R was engineered and designed in Germany, and TVS is used as an assembly plant. Conceived in Germany and assembled in India. The result is good quality at a low price. In fact, the first thing you notice once you swing your leg over the G 310 R is the build quality, as in the actual fit and finish. From the materials used to their application on the bike, it feels far better thought out and put together than many bikes in its class – even its closest competitors. The G 310 R is really quite convincingly a BMW in this respect. The diminutive size is masked by a wide tank, which gives it a “big bike” feel. At 785mm the seat height is nice and low for shorter riders, but the seat itself is quite hard. To my eye the 310 is in no way unattractive, it’s just a bit vanilla. That is to say it looks more BMW F 800 R than BMW S 1000 R, which means it doesn’t stand out in the same way a KTM Duke 390 does. The instruments are comprehensive for a bike in this class. The power-plant is a 313cc single cylinder that produces 34 hp (25 kW) and 28 Nm of torque. These figures aren’t class leading, but they are really just numbers. 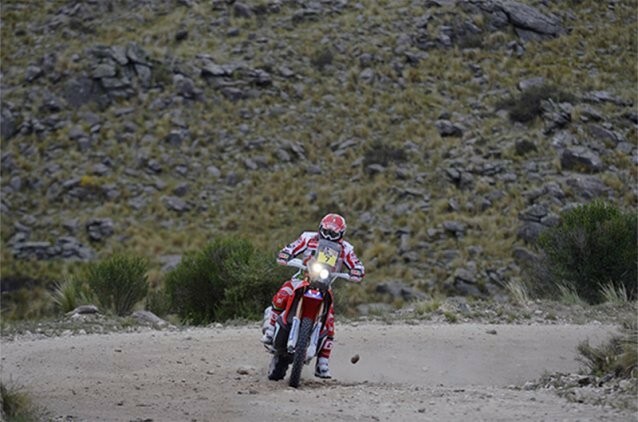 The power delivery is smooth, with some buzz at the top end adding to the character of the bike. It never feels lacking in power in city riding situations, with the zingy little single trundling around easily at low revs. The engine only comes alive after about 3 500 rpm, and from there till the red line it sounds really good, which is a real surprise. It almost goads you into hunting the rev limiter in every gear. Just know that, with a top speed of 145 km/h, riding on open freeways is a bit of a chore. So the straight-line performance exceeded my expectations and that brings me to the handling. The G 310 R is nimble and easy to control at low speeds, this being helped by the 158 kg weight (dry). Such agility is needed for a city bike, yet the performance pretensions of the bike means it needs to handle faster twisty stuff as well. 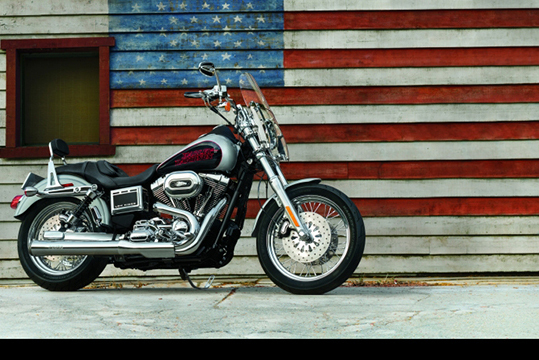 The short wheelbase gives it a quick turn-in and the riding position makes the bike easy to place. This is complemented by a long swing arm, which helps with overall stability. The upside down forks up front are a nice premium touch, even if nonadjustable, and the suspension as a whole works well over bumpy bits of suburbia. The only complaint I had was the brakes, the rear in particular, which required a good deal of pressure to get any real stopping power. Test rider Uzair gives the 310 the suburbia test. The upside down forks and build quality are what we have come to expect of a BMW product as is the well laid out and easy-to-read dash, which gives you information such as range, consumption and average speed. Also, as is expected of a BMW, is the standard fitment of a two-channel ABS braking system. All in all the G 310 R really impressed in ways that I didn’t expect it would. The nippy power delivery and brilliant exhaust notes were enough to make the bike worth its asking price for me. The stable cornering and agility also made it a real blast to ride. The asking price of R62 990 is almost a bargain, considering that the KTM Duke 390 costs nearly R10 000 more. And while the KTM is definitely more of a hooligan, the plucky G 310 R is more refined, just as capable and the smile on your face will be just as wide. The 310 is a nimble commuter but will happily run at 130 km/h on the open road. Unless that road is too steep. Then it won’t. **Click here for the full spec sheet.